Moss Green boiled wool leg warmers. Knitted felted leg warmers 100% natural wool. Woolen leg warmers are made of natural wool yarn. 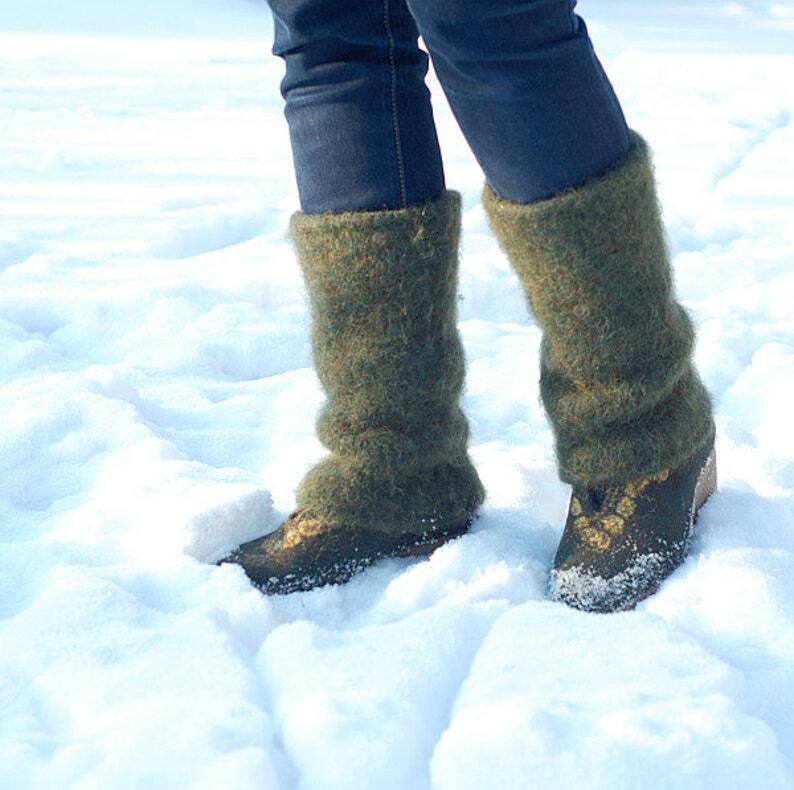 I knit and then felt these leg warmers - they are absolutely natural. They are very warm and durable. 100% wool makes them warm, felting makes them soft and wind resistant. Length about 13 inch weight 200 grams of pure wool. Leg warmers are made to order. I will make such leg warmers for you in about a week after purchase. If you wish other colors - be free to ask for a custom order. 8 different colors of this kind of wool yarn are available. Very high quality. A pleasure doing business. Strongly recommended.